What is Volumetric efficiency of an Engine? Volumetric efficiency is one of the important Engine performance parameter, which decides the performance of the engine. So this volumetric efficiency is also known as the breathing ability of the engine. Let’s discuss more on it. One of the most Important Performance Parameter in the Diesel Engines. It determines the amount of air utilization for a certain amount of power output in a thermodynamic cycle. Hence an engine must take the air as much as possible to give the more power output. So the volumetric efficiency is defined as the ratio of the actual amount of air is drawn into the cylinder to the Actual amount of air that can be drawn. In other words, the ratio of the Volume flow rate of air into the intake system to the rate at which the volume is displaced by the system. So this is also said as the pumping capacity of the engine. The normal range of volumetric efficiency of an SI engine is between 80 to 85% at full throttle, whereas the CI engine would stand at 85 to 90%. And the Gas Engines have much lower volumetric efficiency. Are there any ways of increasing the Volumetric Efficiency of an Engine? Yes, there are different ways that we can increase by more than 100%. 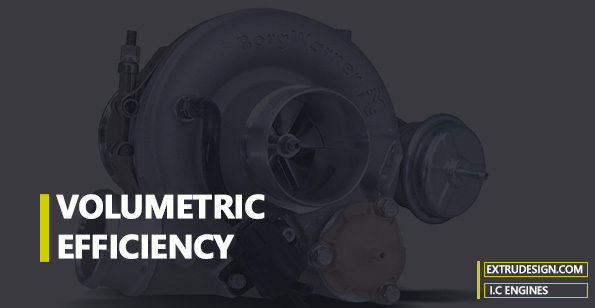 By using forced induction such as supercharging or turbocharging we can increase the Volumetric efficiency of an Engine. 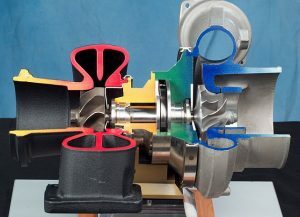 Without these supercharging or turbocharging, we need to do proper tuning, to achieve 100% volumetric efficiencies in naturally aspirated engines. In this case Proper tuning in the sense we have to maintain the cam in the cylinder head to operate the valves more direct way and also we should have 4 valves per cylinder. But, the limit for naturally aspirated engines is about 130% only. We have discussed the Volumetric Efficiency in different definitions and also we discussed how to increase it in the naturally aspirated engines by proper tuning and also with the supercharging or turbocharging additional gadgets. Let us know your thoughts in the comment section below.